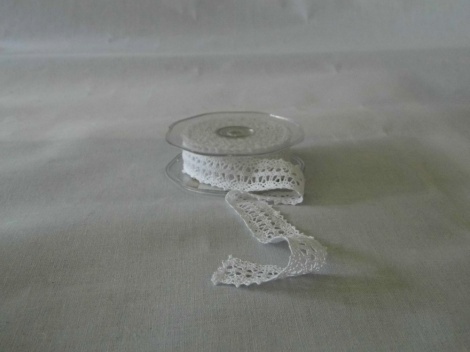 White cotton lace ribbon. 25mm wide. Sold per metre.